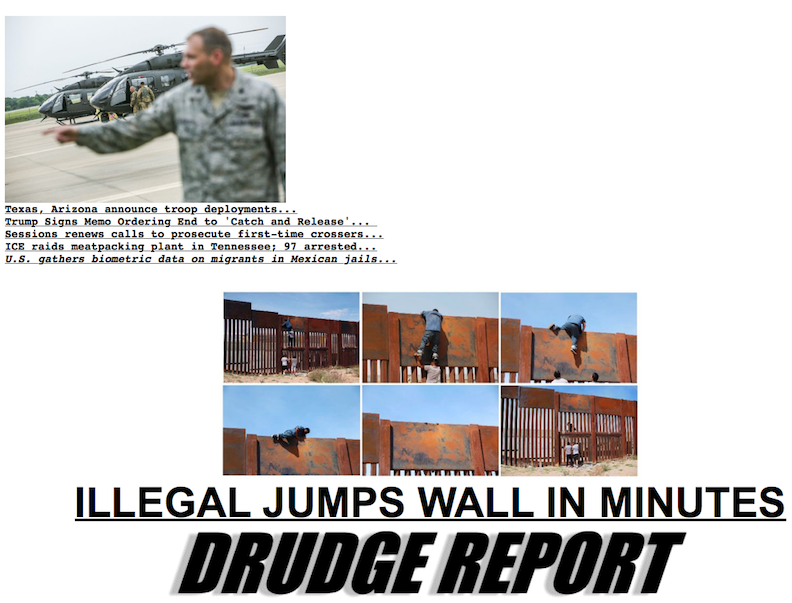 wall out of the military budget for national security reasons." The president often references the opioid crisis to justify the need for a wall on our southern border, but he rarely invokes what may be an even greater (related) justification for making the barrier a national security issue and utilizing the military budget for its construction -- the presence of the Lebanese terror organization Hezbollah. Hezbollah's deep involvement in the drug trade is well known. They use it to finance their murderous activities throughout the Middle East, including the Syrian civil war with its endless carnage and massive refugee crisis. But it doesn't end there -- not even close. They have reached extensively into Latin America, exploiting a network of proxies and Lebanese ex-pats from Venezuela to Paraguay. Like the ultra-violent Mexican cartels, with whom they collaborate, Hezbollah is among the world's biggest drug pushers, managing marijuana and opium poppy farms across the globe. The fruits of their labor are sold to you-know-who while they employ some of the most sophisticated money-laundering methods extant. Besides that, Hezbollah has the biggest non-state army in the world with an estimated full-time force of 25,000 and a similar number of reservists. Estimates of their rocket capability range from a 40,000 to 150,000 count, considerably more than most countries. Ann Coulter, among others, can exhale." 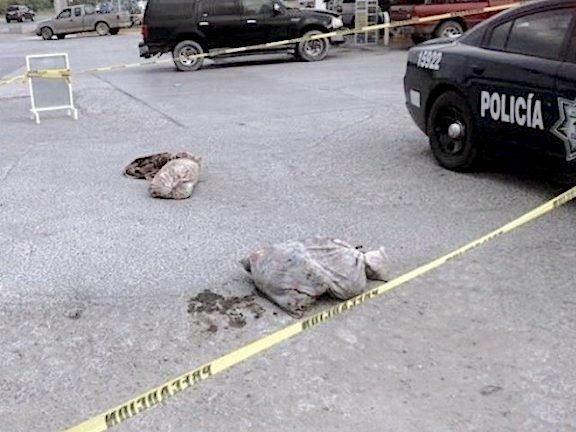 REYNOSA, Tamaulipas â€” Cartel gunmen dumped two large bags filled with dismembered body parts outside a local gas station. The gory scene follows several days of relative peace after months of fierce gun battles and escalating violence between rival factions of the Gulf Cartel. Cartel gunmen riding in an SUV pulled up to a gas station on the western side of Reynosa near the Retama rural community and left two large, bloody bags before driving off. Mexican authorities rushed to the scene and cordoned off the area as forensic investigators collected the two large bags that reportedly contained various body parts. Since May 2017, two rival factions of the Gulf Cartel have fought for control of the various drug trafficking and human smuggling routes in Reynosa. The fighting has led to dozens of fierce gun battles yielding more than 410 murders including innocent bystanders, cartel gunmen, and authorities, Breitbart Texas reported. NUEVO LAREDO, Tamaulipas â€” A family of four, including two young girls, died after getting caught in the crossfire of a fierce battle as cartel gunmen tried to ambush a Mexican Marine convoy. The incident also led to one marine dying with 12 others seriously injured. Authorities managed to kill four attackers. The dramatic spike in violence is tied to an effort to capture Juan Gerardo â€œEl Huevoâ€� TreviÃ±o Chavez, the current leader of the Cartel Del Noreste (CDN) faction of Los Zetas operating in Nuevo Laredo, Mexican law enforcement sources revealed to Breitbart Texas. Nuevo Laredo is immediately south of Laredo, Texas. The violence on the Mexican side began when a convoy of marines tried to carry out a series of operations in the area. A family of four driving home along the highway that connects Nuevo Laredo with Piedras Negras, Coahuila, unknowingly drove into one of the cartel ambushes. In recent weeks, CDN gunmen used cloned military uniforms to carry out kidnappings and executions to divert blame toward Mexican authorities. Those gunmen, outfitted with their own version of the Mexican Navy uniform, were the hitmen who tried to ambush the troops carrying out security operations. Time to build the wall sooner, and fast! Then, I would like a permanent pass allowing my going to the other side of the wall, both ways. When it comes to height, width, monitoring -- if more is better, too much is just right! Photographer John Moore discusses his new book chronicling the militarization of the U.S.-Mexico border. Few issues get Americans more worked up than undocumented immigration. In a February 2018 Gallup poll, 15 percent of Americans (25 percent of Republicans, 6 percent of Democrats) said immigration is the most critical problem facing the United States ― topped only by concerns about governmental dysfunction. When it comes to covering the key stakeholders in the conversation, meanwhile, few can boast as much time on the ground, chronicling what immigration really looks like, as Getty Images photographer John Moore. 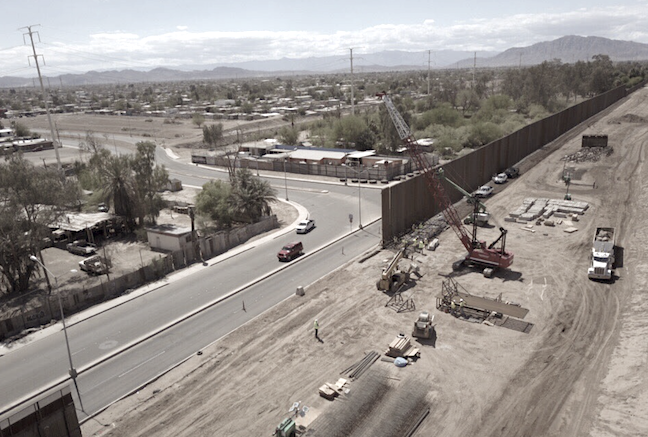 His new book, "Undocumented: Immigration and the Militarization of the United States-Mexico Border," spans 10 years of reportage on both sides of the geographic and political divide. Here, Moore speaks with FOTO about his decade on the front lines of the immigration war. They are actually building it? wow It looks nice and tall compared to the workers yay. of our Southern Border WALL!" â€œWe started building our wall. Iâ€™m so proud of it. 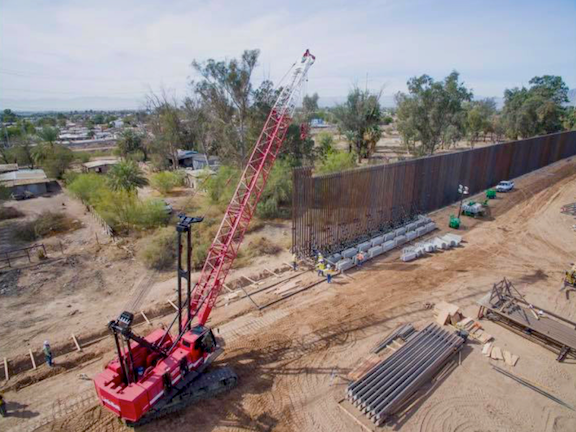 We started,â€� Trump said, pointing to the pictures he posted on Twitter of the new border bollard fencing currently under construction in Calexico. 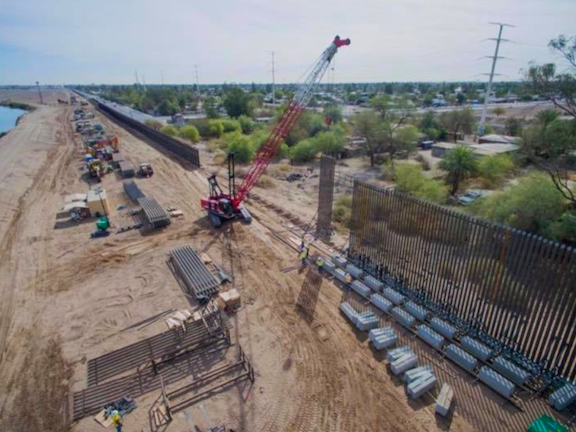 "Trump praised the $1.6 billion funding in the Omnibus spending bill for more bollard fencing as a â€œdownpaymentâ€� of his promised wall on the southern border ..."
smugglers crossing the U.S.-Mexico border and entering into Arizona." 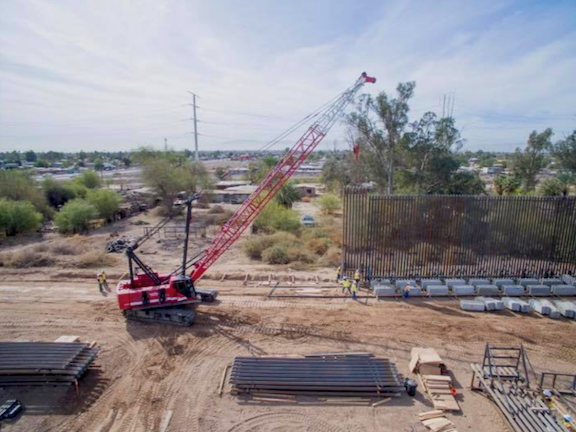 PHOENIX, Arizona â€“ Jim Chilton knows a thing or two about border security in the United States. The multi-generational rancherâ€™s 50,000-acre beef cattle operation stretches along the border between Arizona and Mexico. Most of that border is marked by a four-strand barbed wire fence that allows for easy entry by slipping beneath it or cutting it to make an open pathway. open borders and limitless freebies. A caravan of more than 1,500 families including men, women, and children are making their way from Central America through Mexico and are expected to arrive at the US-Mexico Border in the coming days to request refugee status. Known as the Viacrucis Migrante 2018, the caravan began on March 25 in the state of Chiapas and is expected to reach Tijuana within a month where the members of the group are expected to request refugee status from the U.S. government. The caravan is organized by the immigrant rights group Pueblo Sin Fronteras who have been posting updates about the caravanâ€™s journey through Mexico. The group is reportedly made up of families from Guatemala, El Salvador, and Honduras who are fleeing extreme poverty and gang violence. The group has been demanding a stop to the violence. While the group is made up primarily of individuals who could be considered undocumented by Mexican authorities, officials have stepped aside, Mexicoâ€™s El Universal reported. trying to take advantage of DACA." On Easter Sunday, President Trump announced he would no longer be pursuing a deal with the Republican establishment and Democrats to give amnesty to at least 1.8 million illegal aliens in exchange for a few pro-American immigration reforms. In a series of tweets, Trump signaled a return to his â€œAmerica Firstâ€� immigration agenda, mentioning that he will no longer try to negotiate a deal between the GOP establishment and Democrats on the issue of giving amnesty to potentially millions of illegal aliens shielded from deportation by the President Obama-created Deferred Action for Childhood Arrivals (DACA) program. is ridiculing U.S. weakness on the issue. "They must stop ... or I will stop their cash cow, NAFTA," Trump tweeted. President Donald Trump on Sunday explicitly linked his proposal to build a barrier between the U.S. and Mexico to ongoing NAFTA negotiations, as he renewed a warning that the flow of illicit drugs and undocumented immigrants from the country "must stop." Via Twitter, the president ripped the U.S.'s southern neighbor for doing "very little, if nothing" to stem illegal immigration and narcotics from flowing across the border. He repeated a threat he made earlier this year, warning that successful trade pact renegotiations may hinge on Mexico making efforts to secure its side of border. For much of 2017, the White House floated the idea of a border adjustment tax on Mexican goods, a proposal that met stiff resistance in Congress before it was ultimately killed in tax reform talks. Meanwhile, talks to renegotiate the trade pact between the U.S., Canada and Mexico have gotten increasingly contentious. In theory, a NAFTA termination letter would start the countdown for a 6-month process to abrogate the pact. However, some think Washington could use such a move to gain leverage over Canada and Mexico. In January, Mexico threatened to leave the negotiations altogether if Trump triggered the process to withdraw from the pact. Just as candidates were putting the finishing touches on their opening campaign speeches for Mexicoâ€™s July 1 elections, Trump crashed the kick-off party via Twitter, accusing the country of doing â€œvery littleâ€� to stop illegal migration and drugs, and renewing his threat to axe the North American Free Trade Agreement (NAFTA). The veteran leftist leading in the polls, Andres Manuel Lopez Obrador, and his conservative rival, Ricardo Anaya, both hit back hard at the Republican president, whose anti-Mexican diatribes and insistence that Mexico pay for his planned border wall have made him supremely unpopular here. Because then they could keep the illegals in Canada, or the people in Canada trying to illegally enter out. And it would also protect Canada from the remaining illegals in the US trying to exit. Agreed. But then we face, like I am sure is happening already------>boat drop offs on our shores. We need to stop the free giveaway of drivers licenses which in turn allows illegals to gain documentation such as birth certificates, citizen papers and passports. Also, unless born to USA citizen parents, the child born should not be an automatic USA citizen. Immigrants need to be accepted for a citizenship program, or sent back. Those accepted for the citizenship program need to become a citizen through learning English, American Culture, American History and American law and a study of the Constitution. They need to be vetted for exactly why they are coming here and if they are compatable -- namely, do they like America and Americans? During this quarantine time they can be looked at for medical conditions and treated for diseases, along with getting de-loused. The quarantine education and health watch sound like a good function for fema camps. Then, when they pass for USA citizenship (which includes a money-providing, already-citizen "sponsor"), they can be released to join our populace. The above scenario of legal pathway to becoming an American Citizen should be accomplished by paperwork application BEFORE they try to come into our country. This is the earmark of what might become a responsible citizen. If they cannot accomplish this, then forget it. All others should simply be turned away at the border. ... Mexico officials caving under pressure from DJT? finally have recognized its members have the right to seek asylum. Mexicoâ€™s National Institute of Immigration (INM) said late Monday that it plans by Wednesday to disband a caravan of hundreds of Central American migrants that has been traveling through Mexico for nine days. Caravan organizers said, however, they expect at least some of the migrants to continue north to the US border. They estimate that most of them will seek asylum or some type of protection in Mexico or the US. "At the end of the day these people have the right to ask for asylum,â€� said Gina Garibo, one of the organizers for Pueblos Sin Fronteras, the volunteer group that organized the caravan. She denied the caravan was over. "We have to follow through with our promise" to help people gain asylum in the United States or Mexico, she said. Migrants would continue moving but in smaller groups than the caravan. 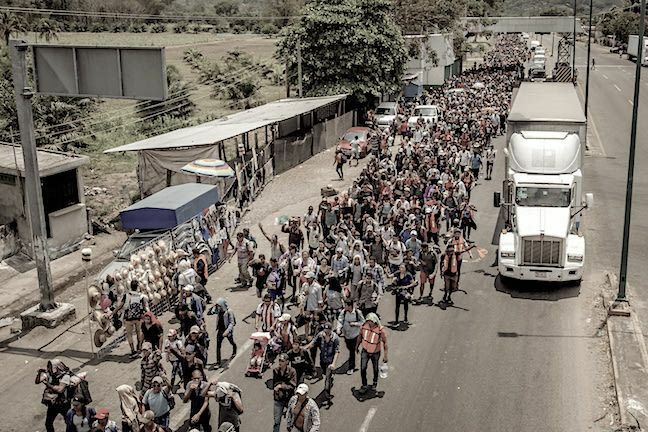 Another organizer, Alex Mensing, called the Mexican action a victory for the caravan, saying organizers had successfully persuaded the Mexican government to allow caravan members to apply for asylum in the United States and Mexico. â€œDonâ€™t be fooled, the government isnâ€™t â€˜disbandingâ€™ it, itâ€™s conceding its participantsâ€™ right to apply for asylum without traveling in the shadows,â€� he said. Still, hundreds of the migrants are expected to accept Mexico's offer to allow the most vulnerable among them to stay. A federal delegate with INM who gave only his last name, RodrÃ­guez, told BuzzFeed News that humanitarian visas would go to vulnerable groups such as pregnant women, people with disabilities, or people with chronic illnesses like HIV. in the country or they will be ordered to leave, he said. whole extended family is HOME FREE! Border Patrol agents in the Rio Grande Valley Sector continue to be overwhelmed by the numbers of illegal border crossers, they say. The sector continues to lead the nation in Unaccompanied Alien Children (UAC), Family Unit Aliens (FMUA), and total apprehensions. In February, agents in the Rio Grande Valley (RGV) Sector apprehended 9,603 illegal immigrants, according to information obtained by Breitbart Texas from U.S. Customs and Border Protection sources. These arrests include the apprehension of 1,387 unaccompanied minors and 3,222 partial families. "... we donâ€™t have the manpower ..."
During the first six months of this fiscal year (which began on October 1, 2017), CBP reports indicate that RGV Sector agents apprehended more than 52,000 illegal immigrants. Of those, agents arrested more than 7,000 UACs and at least 20,000 FMUAs. 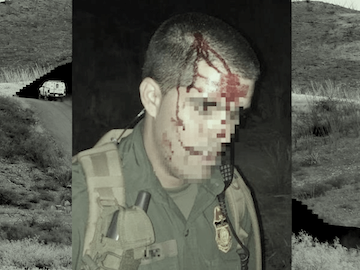 Border Patrol agents are frequently assaulted while on duty, Breitbart Texas reported. During the first six months of Fiscal Year 2018, CBP indicated that illegal aliens assaulted more than 230 agents. 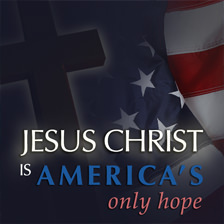 The only immigration that should be allowed is PLANNED immigration through paperwork application that has been accepted toward working to become an American citizen. Acceptance for immigration should include the idea that they are still immigrants and not American citizens and that they need to become American citizens to stay in America. Acceptance should include them having a sponsor to financially support them and get them going with a job when they pass the courses below and have become American citizens. 6. Course on living in a modern home, running a washing machine, learning to shop, keep a bank account, pay bills. 7. Wellness check, medical exam, treat disease, de-louse. If they have TB, they go back. 8. Course on acceptable dress, behavior, basic manners. 9. Research into their family history so it is known and documented who they are, and who their family is, in the originating country. We have too many with the same surname who took these names in order to fake documention. If the paperwork application process cannot be accomplished, and the courses not passed, they probably would not make desirable American citizens and they can go back. All others not already going through a paperwork application process for American citizenship, described above, should simply be turned away at the border. Yahoo Trump on the military action on our borders! immigration reforms plan in a February 15 vote." National Guard to help secure the U.S. border with Mexico. Last week, the President received a briefing from senior administration officials on the growing influx of illegal immigration, drugs and violent gang members from Central America, and directed a vigorous administrative strategy to confront this threat and protect Americaâ€™s national security. Today, he received a follow up briefing to discuss his administrationâ€™s strategy, which includes the mobilization of the National Guard. President Trump and senior officials present also agreed on the need to pressure Congress to urgently pass legislation to close legal loopholes exploited by criminal trafficking, narco-terrorist and smuggling organizations. Among those briefing the President were Defense Secretary James Mattis, Homeland Security Secretary Kirsten Nielsen, Attorney General Jeff Sessions, Chairman of the Joint Chiefs General Joseph Dunford, Chief of Staff John Kelly, and other senior White House officials. â€œWeâ€™re going to be doing things militarily,â€� Trump said Tuesday at a White House meeting. The Trump mobilization stands in sharp contrast to the welcome policies set by former President Barack Obama. Those policies allowed more than 400,000 Central American economic migrants into the United States to plead for asylum designed to help persecuted individuals. can do without the Congress ... or the Courts. For me, it is the only and number one reason to maintain a military -- to protect our borders. Administration officials say a â€œstaggeringâ€� increase in illegal crossings is prompting the presidentâ€™s actions. Through Homeland Security Secretary Kirstjen Nielsen earlier today, the White House announced that President Donald Trump has directed the departments of homeland security and defense to make arrangements to deploy National Guard units to the southern border. Two senior administration officials later briefed the media on the presidentâ€™s decision, saying that a â€œstaggeringâ€� increase in illegal border crossings has prompted him to take action. Currently, there are two efforts underway. On one side, the DHS and DoD are working with border states to draft memoranda of understanding to lay out the National Guardâ€™s mission. 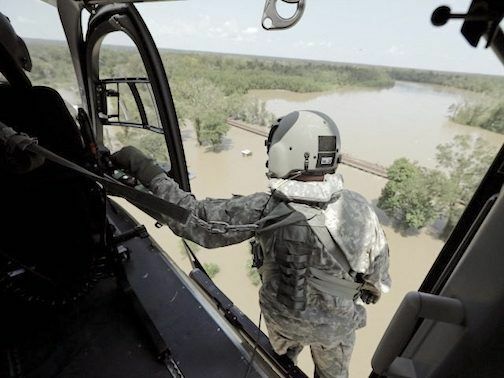 Unlike previous border deployments, however, DHS is describing what kind of missions need to be fulfilled and DoD is determining how many troops to send based on those needs. All of the border governors have been consulted. One senior administration official said the White House is confident they all will â€œtake advantage of the chance to cooperate with the first tangible efforts at border control. The other effort involves Capitol Hill, where the other senior administration official acknowledged that Democrats have served as obstructionists despite their attempts to eschew the label of â€œparty of open borders.â€� He said they will get their chance to prove they are not an open-borders party later this spring, or this summer, when immigration becomes the top issue facing Congress. WASHINGTON (Reuters) - U.S. President Donald Trump signed a memorandum on Friday ordering the end of a policy, known as â€œcatch and release,â€� in which illegal immigrants are released from detention while awaiting a court hearing on their status. As part of the memo, Trump asked Defense Secretary Jim Mattis to produce a list of military facilities that could be used to detain illegal immigrants. Our immigration system continues to encourage and allow an influx of aliens to illegally cross our borders and resettle in American communities. Porous borders, legal loopholes, and insufficient immigration enforcement resources allow aliens to illegally cross our borders and often prevent their removal once here. Waves of Unaccompanied Alien Children (UACs) and Family Units have been exploiting these weaknesses in our immigration system for years in order to enter and remain in the country. Since fiscal year (FY) 2016, more than 107,000 UACs have been released into the interior of the United States. 2,895 UACs were released into the U.S. in February 2018 alone, bringing the total for FY 2018 thus far to 13,186. Once released, most UACs remain here by failing to either show up for court hearings or comply with removal orders. As a result, only 3.5 percent of UACs who are apprehended are eventually removed from the U.S. The surge of UACs entering and remaining in the U.S. is in addition to the more than 167,000 Family Units which were apprehended between FY 2016 and February 2018. Nearly all apprehended family units are also released into the U.S. due to judicially-imposed constraints on U.S. Immigration and Customs Enforcementâ€™s authority to detain them. 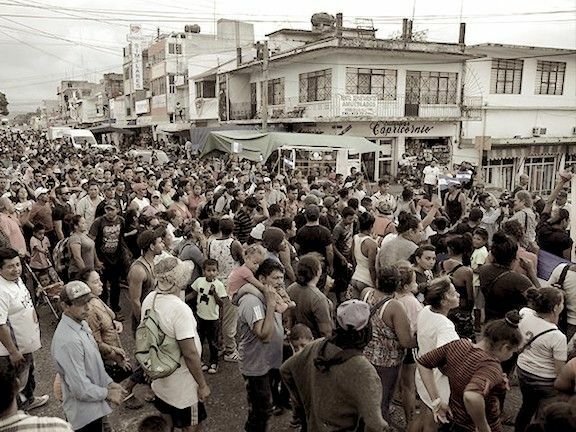 This flow of illegal aliens into American communities stands to only grow as a caravan of hundreds of Central Americans currently traveling through Mexico heads toward the U.S. border. Catch and release loopholes encourage more and more illegal immigration into the U.S.
Catch and release loopholes, which are the result of statutory and judicial obstacles, encourage illegal immigration into the U.S. and prevent the removal of aliens once they are here. Currently, the Department of Homeland Security (DHS) can only detain UACs for a few days before releasing them to the Department of Health and Human Services (HHS) for resettlement into the United States. Immigration enforcement efforts are further hamstrung by the fact that current federal law exempts UACs from non-contiguous countries, such as El Salvador, Guatemala, and Honduras, from being promptly returned to their home countries. This results in nationals from these and other countries entering and never leaving. Foreign nationals see how easy it is to enter the United States, and how hard it is for federal immigration authorities to remove aliens who enter illegally, and are accordingly drawn to the United States. In the absence of lasting solutions to the problems that riddle our immigration system, we can only expect the flow of illegal immigration into our country to continue. any other federal law enforcement agency ..."
Illegal immigrants crossing the border assaulted more than 80 Border Patrol agents in February. The incidents account for more than 85 percent of the assaults on U.S. Customs and Border Protection law enforcement officers. During the first six months of Fiscal Year 2018, CBP officials reported assaults on 312 Border Patrol agents, according to a CBP report released on April 6. Eighty-two of those occurred in February, a month where the apprehension of migrants crossing the border jumped by 203 percent over the same period in 2017. CRAZY AS HELL in MEXICO! been killed since the electoral season kicked off in September"
CIUDAD JUAREZ, Mexico (Reuters) - Magda Rubio had just launched her campaign for mayor of a small city in northern Mexico, when a chilling voice came through her cell phone. "Drop out," the caller warned, "or be killed." 'something bad is going on here'," she said. Four were slain in the past week alone. They include Juan Carlos Andrade Magana, who was running for re-election as mayor of the hamlet of Jilotlan de los Dolores, located in Mexico's western Jalisco state. His bullet-ridden body was discovered Sunday morning inside his Toyota Prius on the edge of town; Andrade had just attended a funeral. State prosecutors are investigating, but have made no arrests. apprehended 6 illegal immigrants at a residence on San Luis Street in south Laredo. Border Patrol agents along with the Laredo Police Department responded Thursday to a request for assistance from Homeland Security Investigations regarding suspicious activity at a residence on San Luis Street. A total of 56 undocumented immigrants, including men, women and children, were found inside the residence. They were determined to be from Guatemala, Mexico and Honduras. All were processed accordingly. Homeland Security Investigations has the lead in the investigation. "The partnerships in Laredo between the United States Border Patrol, Homeland Security Investigations and the Laredo Police Department continue to show results in disrupting criminal organizations from operating in South Texas. 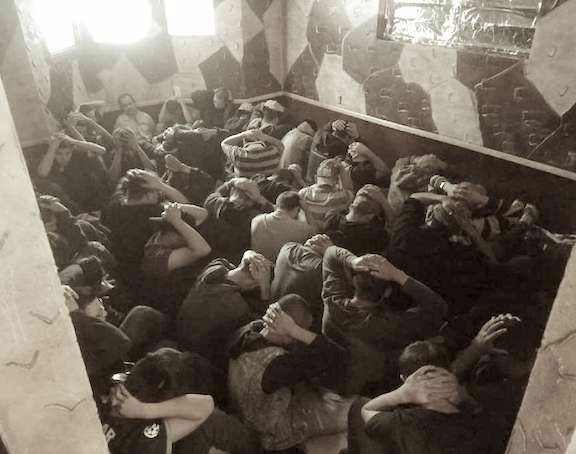 We will continue to work with our law enforcement partners to prosecute those responsible and prevent individuals from being subjected to deplorable conditions," said Laredo Sector Assistant Chief Patrol Agent Gabriel Acosta. ... and in a SEPARATE incident! "A group of Laredo Police Department officers out serving a warrant in south Laredo on Friday morning inadvertently stumbled upon a stash house packed with 69 undocumented immigrants." .... To find 69 immigrants in one house is fairly unusual in stash house cases, Baeza said; the number is typically closer to 20. ... the hordes are at the gate! to find places in tent shelters." TIJUANA, Mexico, April 25 (Reuters) - Hundreds of Central American migrants from a caravan that crossed Mexico reunited in Tijuana on Wednesday and planned to cross the border together this weekend in defiance of threats by U.S. President Donald Trump to repel them. The timing of the migrants arrival could compromise a flurry of talks this week to renegotiate the North American Free Trade Agreement (NAFTA), which Trump has repeatedly threatened to scrap if Mexico does not crack down on the flow of Central Americans through its territory. Busloads of migrants began arriving on Tuesday at a shelter that was a five minute-walk from the border and within sight of a U.S. flag waving under an overpass connecting the two countries. While many rested in tents after a month-long journey across Mexico, others wandered up to the border to contemplate the next stage in their journey. "The wall doesn't look that tall," said Kimberly George, a 15-year-old girl from Honduras as she looked toward a stunted barrier a few feet away. "I really want to cross it." It was unclear if concerns about immigration could affect the talks. On Monday, Trump threatened to make immigration controls a condition in the NAFTA talks and demanded that Mexico stop people from crossing its territory to enter the United States. is set to continue increasing up until 2030." â€œThe sheer dimensions of homicidal violence are breathtaking,â€� says the report by the IgarapÃ© Institute, a Brazil-based thinktank focused on security and development issues. The publication, released on Thursday, paints a bleak portrait of what it calls the worldâ€™s most homicidal continent. Latin America suffers 33% of the worldâ€™s homicides despite having only 8% of its population. One-quarter of all global homicides are concentrated in four countries â€“ Brazil, Colombia, Mexico and Venezuela â€“ all of which are gearing up for presidential elections in which security is a dominant theme. â€œThe overall trend right now in Latin America is one of increasing homicides and deteriorating security,â€� said Robert Muggah, one of the reportâ€™s authors. entry to the U.S. and having them wait in Mexico ..."
Jessica Vaughan, the director of policy studies at the Center for Immigration Studies, recommended the Trump administration declare an â€œimmigration emergencyâ€� and begin construction of tent city detention centers to address the potential increase in illegal border crossings from the migrant caravan traveling through Mexico for the U.S. border. Vaughan offered her remarks in a Wednesday interview on Breitbart News Tonight with SiriusXM hosts Rebecca Mansour and Joel Pollak. Mansour quoted Department of Homeland Secretary Kirstjen M. Nielsenâ€™s statement that the caravan migrants attempting to enter the United States illegally â€œwill be referred for prosecution,â€� and those who are legally seeking asylum at a point of entry â€œmay be detained while their claims are adjudicated efficiently and expeditiouslyâ€� and â€œwill be promptly removed from the United Statesâ€� if their claims are fraudulent. Mansour asked Vaughan to explain what federal authorities are doing to expeditiously adjudicate the asylum claims from the caravanâ€™s estimated 600 migrants approaching the California point of entry. there if theyâ€™re not found to be eligible to enter. None of them have visas." "... asylum seekers making false claims to U.S.
assists or coaches immigrants on making false claims ..."
TIJUANA, Mexico (AP) â€” U.S. immigration lawyers are telling Central Americans in a caravan of asylum-seekers that traveled through Mexico to the border with San Diego that they face possible separation from their children and detention for many months. They say they want to prepare them for the worst possible outcome. The Central Americans, many traveling as families, on Sunday will test the Trump administrationâ€™s tough rhetoric criticizing the caravan when the migrants begin seeking asylum by turning themselves in to border inspectors at San Diegoâ€™s San Ysidro border crossing, the nationâ€™s busiest. President Donald Trump and members of his Cabinet have been tracking the caravan, calling it a threat to the U.S. since it started March 25 in the Mexican city of Tapachula, near the Guatemala border. They have promised a stern, swift response. Attorney General Jeff Sessions called the caravan â€œa deliberate attempt to undermine our laws and overwhelm our system,â€� pledging to send more immigration judges to the border to resolve cases if needed. @JUST OVER THE MEXICAN BORDER ... BUILD THAT WALL! 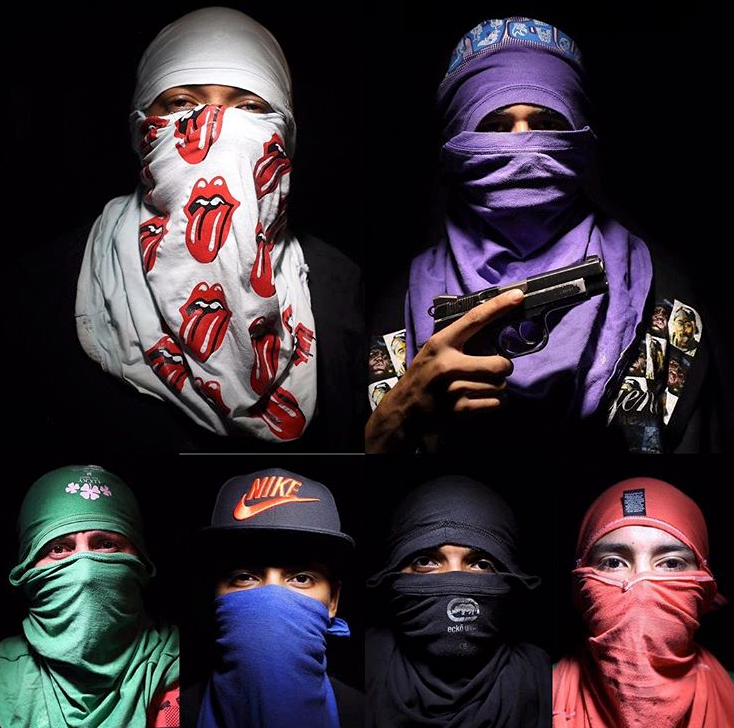 "... a faction of Los Zetas called Cartel Del Noreste (drug runners) has been wearing military clothing while carrying out operations and attacks against law enforcement. 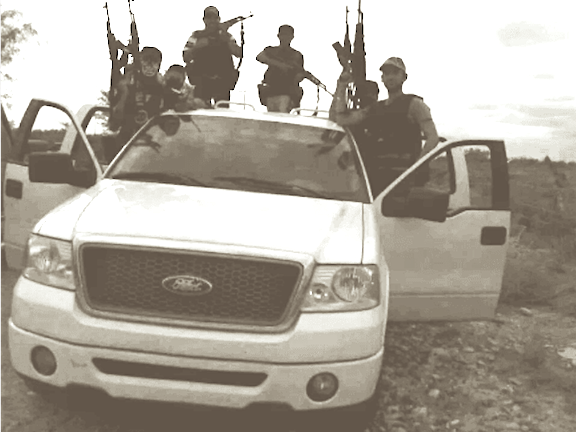 Last month, the Mexican Navy infantrymen commonly called 'Marinos' suffered three ambushes at the hands of CDN gunmen." NUEVO LAREDO, Tamaulipas â€” A series of raids by Mexican military forces in the downtown area of Nuevo Laredo uncovered a cache of military-grade weapons. Those weapons include rocket launchers, grenades, dynamite sticks, machine guns, rifles, and several cloned Mexican infantrymen uniforms and vest. 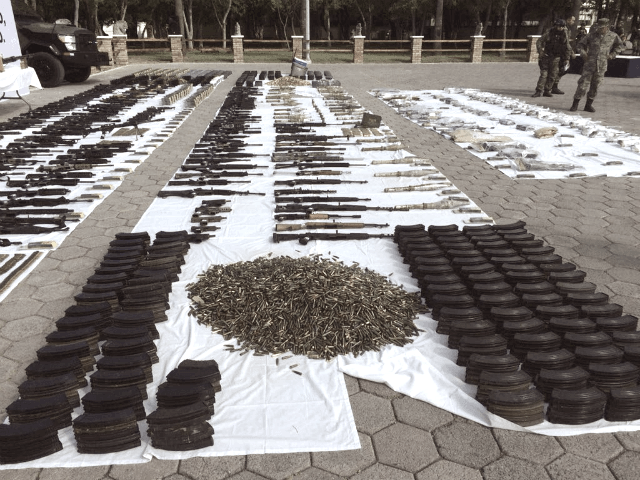 According to information released by the Mexican Army, authorities seized 33 AK-47 rifles, 11 AR-15 rifles, 10 bundles ranging from 25 to 30 pounds of methamphetamine, 13 bundles of methamphetamine precursors, and seven pounds of methamphetamine in crystal form. During that raid, authorities arrested two suspects. The raids began this week when soldiers of the Mexican Army operating in the cityâ€™ downtown raided a home. Soldiers discovered that the drug cartel the house used to process methamphetamines and store a cache of new weapons. Soon after, authorities raided a second home where they seized 24 rifles including grenade launchers, military-grade machine guns, a gold-plated AK-47, several other rifles, handguns, and some grenades. Authorities also seized a large cache of Mexican Navy infantrymen vests and uniforms. The camouflaged vests have logos and decals very similar to those used by active duty Mexican military forces. 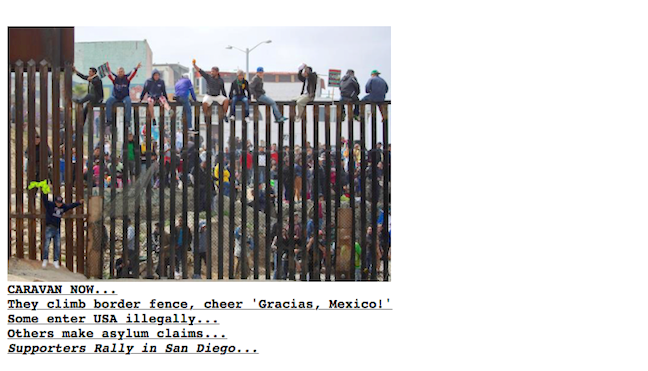 Amidst the chaos, migrants can be heard cheering, â€œGracias, Mexico!â€� after the country did nothing to stop the illegal aliens from passing through the country and towards the U.S. Meanwhile, the Border Patrol says the San is Ysidro port is â€œat capacityâ€� and unable to process any additional migrants seeking entry into America. They were said to have climbed over a dilapidated scrap metal border fence on either side of the San Ysidro Port of Entry. The statement was issued Saturday afternoon by U.S. Customs and Border Protection. The month-long caravan that at one point gathered 1,500 immigrants from Honduras, Guatemala and El Salvador drew the wrath of President Donald Trump during its journey through Mexico. Trump pressured Mexico to stop the migrants before they reached the border, linking Mexican efforts to stem the flow of Central Americans to the future of the North American Free Trade Agreement (NAFTA) currently being renegotiated in Washington. The remaining 400 or so members of the caravan now face hard choices, whether to cross illegally into the United States, ask for asylum at the border or try to remain in Mexico. Ernesto Guevara was an Argentine revolutionary leader and theorist. He is better known by the nickname of "El ChÃ©". He was born in Rosario, Argentina, the oldest son of upper-middle-class parents with leftist political leanings. He interrupted his medical studies at the Universidad de Buenos Aires at 24 to undertake a motorcycle and hitch-hiking tour of South America. He travelled throughout Chile, Peru, Ecuador, Colombia, and Venezuela and wrote a journal of his trip that is nowadays considered a classic in Latin American travel literature. After his tour, Guevara returned to Argentina and completed the requirements for his degree in medicine. Once he finished his studies, he went back to cross the continent northward. The conditions of the lower classes he observed in several countries reinforced his basically left-wing views. Eventually, his odyssey took him to Guatemala. Here he became an interested witness to the revolutionary program of President Jacobo Arbenz. Arbenz attempted to do deep social reforms in Guatemala in order to create radical changes in an inequalitarian and stagned society. As part of his reforms, Arbenz considered the expropriation of the uncultivated lands of the United Fruit Company to be re-distributed to poor peasants. 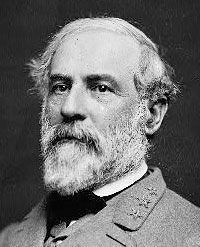 However, Arbenz's efforts faced the opposition of several members of the Army, the United Fruit Company, the landowning class, and the United States Department of State. In June of 1954, a group of rebels, sponsored by the CIA, and led by the Guatemalan colonel Carlos Castillo invaded the country from neighbouring Honduras with the goal of putting an end to Arbenz's reforms. Guevara, who was a strong sympathizer of Arbenz regime offered his services to the government volunteering to create milicias to strike back Castillo's forces. However, the defense Arbenz's followers organized was too weak, and Guevara sought political refuge in the Argentine Embassy and soon managed to cross the border into Mexico. The military coup against Arbenz was a threshold in Guevara's life tha convinced him that the Latin American peoples had no other choice different from the revolutionary armed struggle to end with their poverty and political opression. Once in Mexico he joined a group of exiled revolutionaries led by Fidel Castro. Clandestine military training followed. Guevara participated in the Castro group's seaborne landing on the coast of Oriente Province, Cuba, in December 1956. During Castro's struggle against Fulgencio Batista's government Guevara served as a doctor and military commander with the rank of major. As soon the US President Trump built the Wall on Mexican border, few hours later US, British and French Army will attack Arab Rebulic of Syria. Crazy No-Borders Libtards continue to SUPPORT this! HOW MANY ILLEGALS WERE CAUGHT CROSSING THE SOUTHERN BORDER LAST MONTH? 50? 100? 500? 2,000? 10,000?, 15,000? 20,000? HOW ABOUT 38,000+ !!! 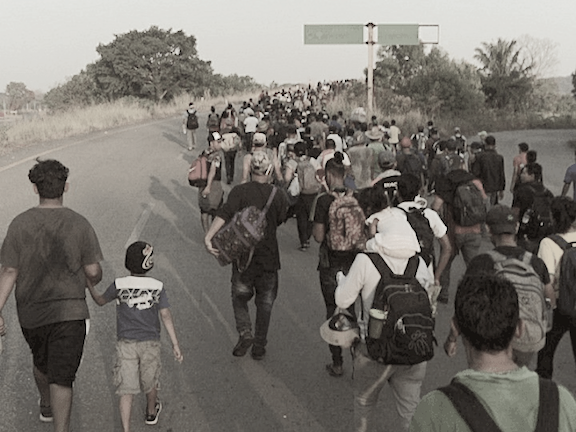 While media focused on a few hundred â€œcaravan migrantsâ€� in April, the number of apprehensions of people illegally crossing the U.S. southwest border with Mexico continued to increase for the fourth straight month. Following a spike in March, the number of apprehensions increased in April by nearly three percent. Border Patrol agents arrested 38,234 illegal immigrants who crossed the border between ports of entry in April. This is up from 37,383 in March, according to U.S. Customs and Border Protectionâ€™s Southwest Border Migration Report issued on Thursday. While this represents an increase of just under three percent from March, it is a 43 percent increase over April 2017. Apprehensions of Unaccompanied Alien Children (UAC) and Family Unit Aliens (FMUA) increased as well. In March, Border Patrol agents arrested 4,153 UAC. In April, that number increased to 4,314, the report states. FMUA apprehensions rose slightly from 8,873 in March to 9,647 in April. During the first seven months of Fiscal Year 2018, agents arrested 211,824 along the southwest border between ports of entry. In FY 2017, agents arrested 303,916 for the entire year.